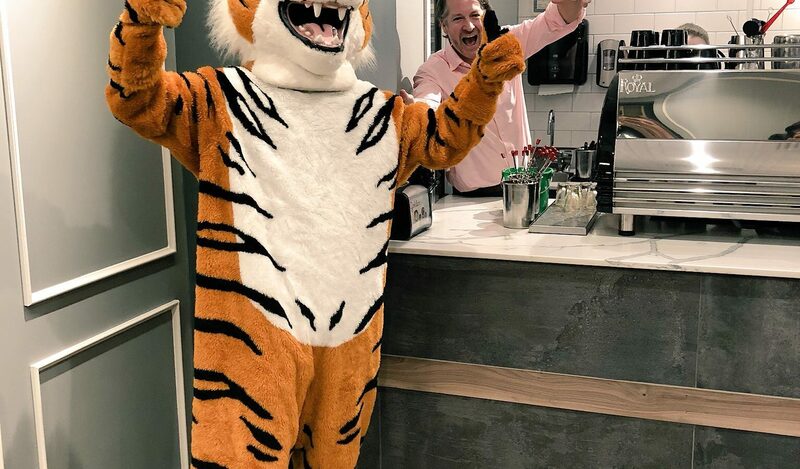 Peter Madden: CEO, Top Cat, Saxbys Barista? 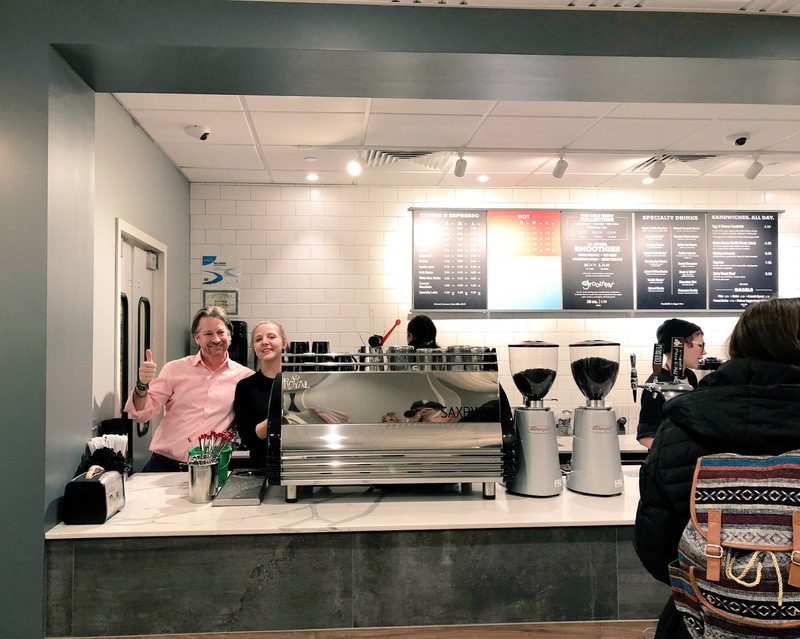 AgileCat CEO Peter Madden was recently a guest barista at the brand new Saxbys coffee shop in our building at 1818 Market Street. 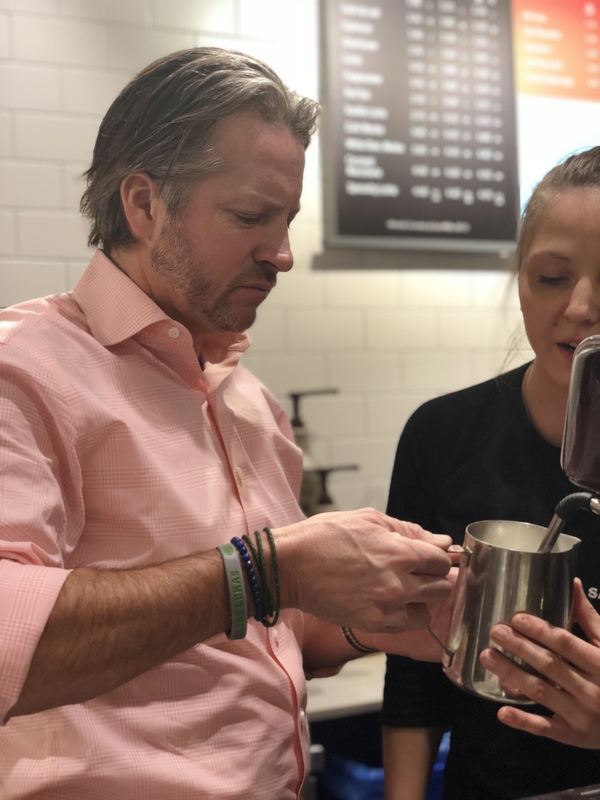 Celebrity guest baristas, such as former Eagle Todd Herremans and Mike Jerrick of Fox29, filtered through the store throughout the day as a part of Saxbys’ “Pay-As-You-Wish” event, where a portion of the proceeds helped benefit students at the Community College of Philadelphia. Peter was ready to go bright and early! His shift started at 9am, just in time for the morning rush. 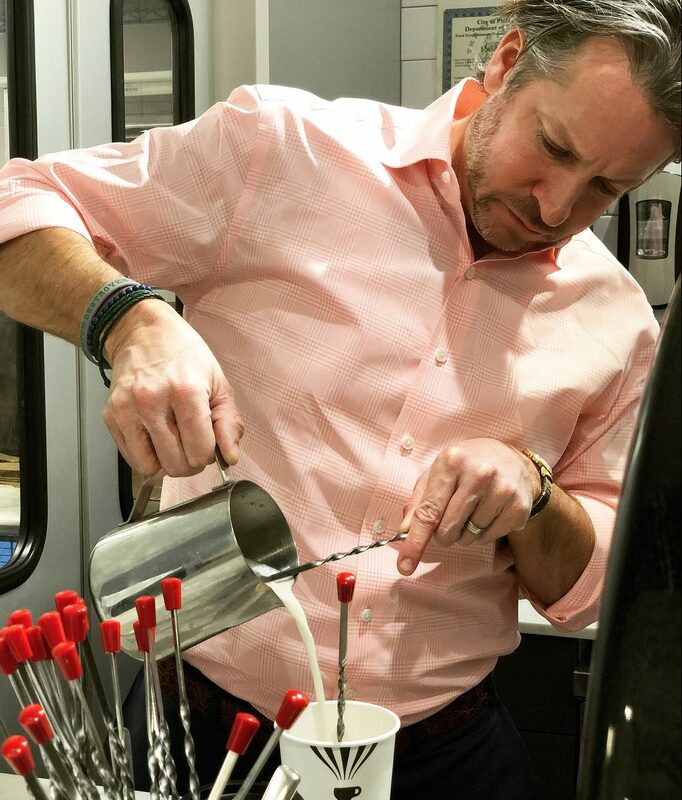 As he manned the drink station, Peter learned how to heat up the milk to the perfect temperature before mixing it into the drinks. 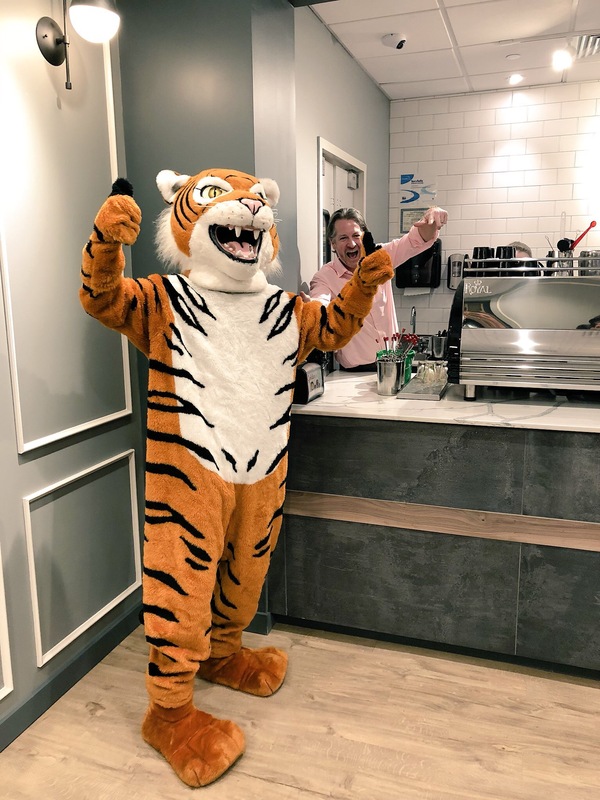 Of course Catnip had to stop by and see what all the buzz was about! 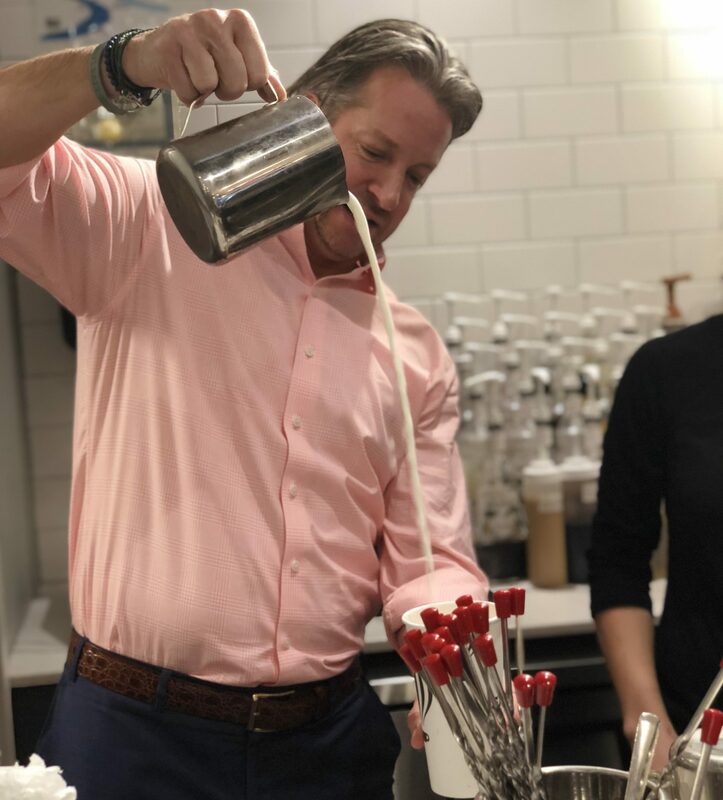 It didn’t take long for Peter to strut his stuff with the long pour. 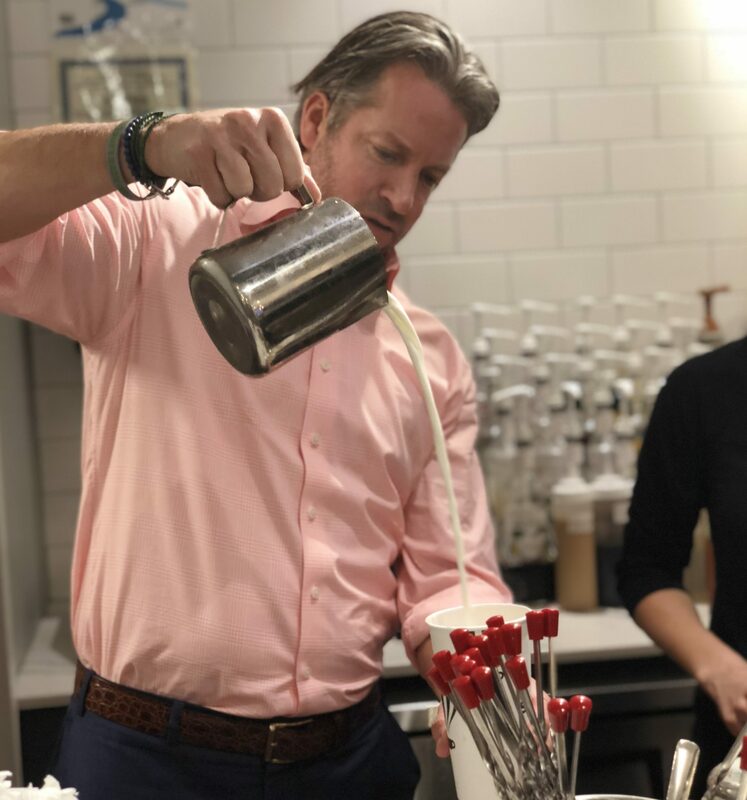 Time to mix together the Maple Vanilla Bourbon – a drink that Peter mastered while on the job. 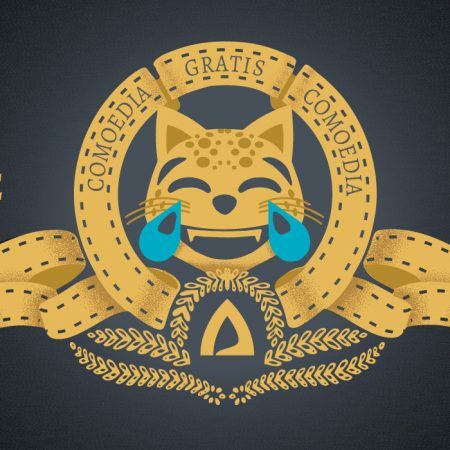 All in a days work for the Top Cat. 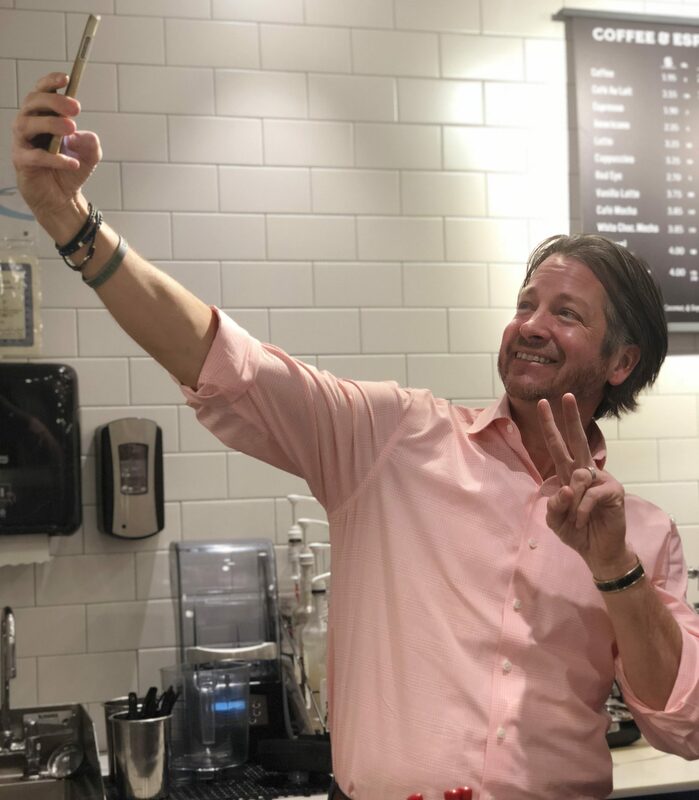 See you again soon, Saxbys!